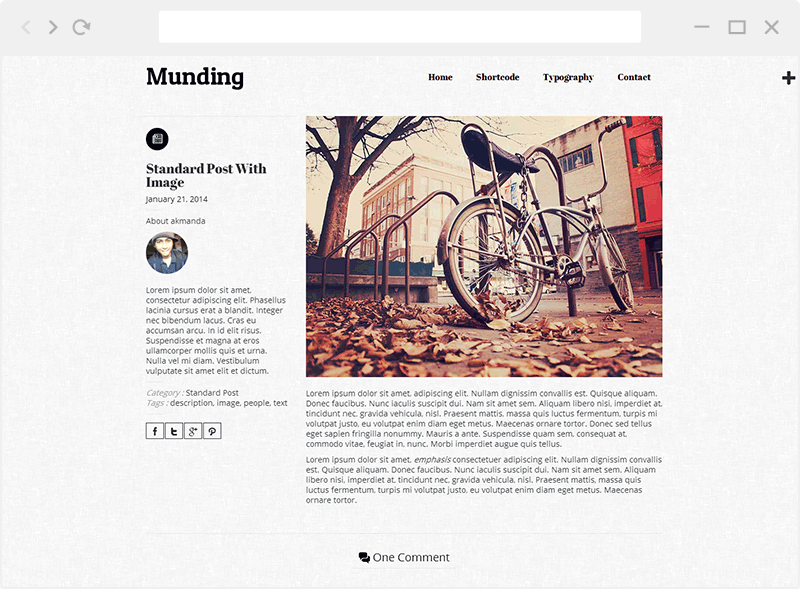 Munding is an extremely flexible, and efficiently minimal and clean blogging wordpress theme with an emphasis on mixed media and typhography. The layout will encourage user to read the content. 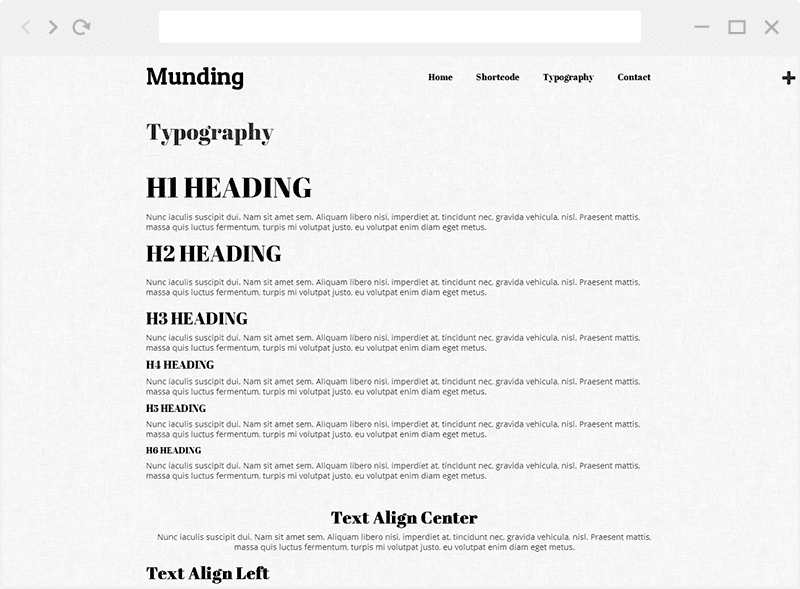 Munding is responsive, all the way down to mobile. Images, videos and text will scale down gracefully to iPad, iPhone and all devices in-between. This theme looks just as great in your pocket as it does on the desktop! You can upload your own logo image using theme customizer. You can change the footer text by your own words using theme customizer. Configure your body background color or even adding image as background. This theme allow you to share your post into your social accounts.